Nikonian Jason Odell has made a set of guides and videos on how to get the most out of the meanwhile free Google Nik Collection plugins. Jason has now a 25% special for us on the guides, check it out. 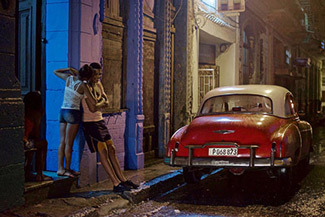 The Nikonians Academy curriculum has added a new Cuba workshop this year. 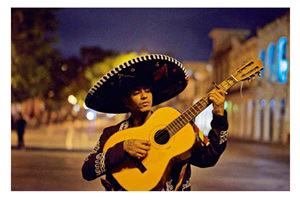 Join Steve Simon in Havana, Cuba May 28 - June 3 for his Passionate Street Photographer workshop. You'll explore the streets of Havana while learning in an intimate group of 10 students. Cuba is one of Steve's favorite locations and he has partnered with another top photographer, Juan Carlos Ocana, to bring you the best Cuba has to offer. "We will explore vibrant, visually rich places and neighborhoods in Old Havana, often outside tourist areas for unique photo opportunities. We will have great access at a local outdoor boxing club with great light-a place where some of Cuba's best known boxers have trained. We will visit and photograph the National Ballet & Dance Company. Old Havana is spectacular at night and we will go out night shooting as well. With the recent warming of diplomatic relations between the United States and Cuba, change is inevitable making now a perfect time to visit." Nikonians Academy Director Mike Hagen loves Iceland and travels there every year in search of stunning images of puffins, landscapes and glaciers. Join him this July for another beautiful adventure to the land of fire and ice. "Our partner on this trip is the world-renowned photographer Tim Vollmer who is a native of Iceland and has been running photo tours for years. He has one of the best reputations in the industry. Mike Hagen, your Nikonians Academy Director, is co-leader for this trip, so you can be sure that this will be an adventure you'll never forget. We'll photograph geothermal sites, glacial lagoons, birds, landscapes, volcanoes, lava fields, waterfalls, and basalt columns. We've also included a photo tour of Reykjavík that includes buildings and architecture." Our partnership with CreativeLive is getting stronger every week. Did you know that CreativeLive has a daily blog where they post great how-to articles? Also, be sure to RSVP for Frans Lanting's upcoming free live workshop with CreativeLive this May. Two of our Nikonians Academy master instructors, Rick Hulbert and Mike Hagen, are teaming up for five days of workshops in The Woodlands, Texas. Located just north of Houston, Texas with easy international airport access, The Woodlands will provide a perfect base for our classes. 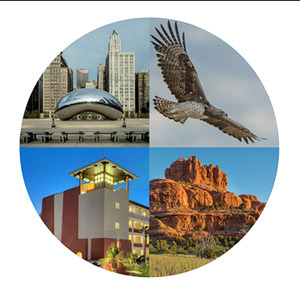 We're covering topics specifically targeted to travel, nature and portrait photographers. There is no requirement for fancy equipment at this workshop. Ideally, you'll have a DSLR or camera that allows you to vary the exposure, but any and every brand of camera will work. We strongly encourage participants with Nikon, Canon, Fuji, Olympus, Pentax, Sony, Leica, and any other camera brands to attend. The principles taught will also apply to point and shoot cameras, mirrorless cameras and even camera phones. 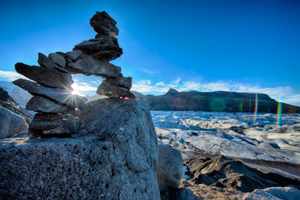 Our Iceland trips are unique in that we travel to many places that few other photo tours go. Sure, we hit the impressive waterfalls and glacier lagoons, but we also head to private wildlife preserves and remote island chains in pursuit of unique images. 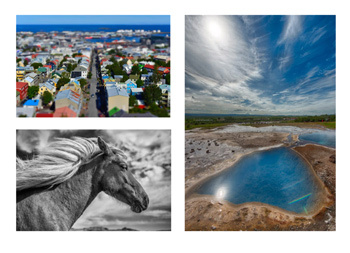 Iceland is extremely popular right now and many photographer's images look the same. Travel with us to photograph areas that are off the beaten path. Take a walk on the wild side with us as we hike into volcanic craters and explore the stunning country in our own private tour vehicles. Mike Hagen's next tour to Iceland is set for July 17-24, 2016. Sign up now here. The cool thing about CreativeLive is their constant push to help people become better artists, creatives and photographers. 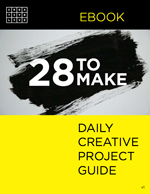 Our partners have just released a free eBook called 28 To Make. It is a free 28-day series of habit-forming creative exercises designed to help you get back in the habit of making cool stuff. It features 28 short prompts from some of the best designers, illustrators, typographers, and all-around makers we know. 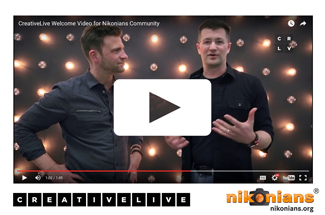 Be sure to check out our CreativeLive Nikonians landing page for recommended workshops from Mike Hagen. 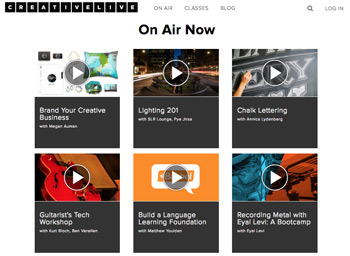 Also, the front landing page of CreativeLive always has a variety of free broadcasts. Be sure to head to creativelive.com to see what's broadcasting for free. With the President of the USA visiting Cuba for the first time in over 80 years, we are bound to see some dramatic changes in Cuba's economy very soon. Much has been made of the impending "Americanization of Cuba," so now is the time to visit. Steve Simon is operating a workshop in Havana, Cuba from May 28 - June 3, 2016. We have three seats remaining and would love to have you join us. Join Steve and Cuban photographer and guide Juan Carlos Ocana for an unforgettable week of living and breathing photography in beautiful Havana, Cuba.